Yep this has happend…..muffins and granola…. shall I call them grmuffins? or muffola? Haha. As I have mentioned previously I have been bored of breakfast (anyone else get that feeling?). Yes I love porridge and generally some wholemeal cereal with fruit makes me happy (simple things) but you get those times where nothing is appealing. So by the power of bloging I decided I could change this and re-inspire breakfast again! The simple blueberry…what is not to love? Equally, the simple blueberry muffin, again what is not to love? Love them I may but to make great versions at home, to me, nearly impossible. They always turn out a little wet and slimey and I just put myself off them. 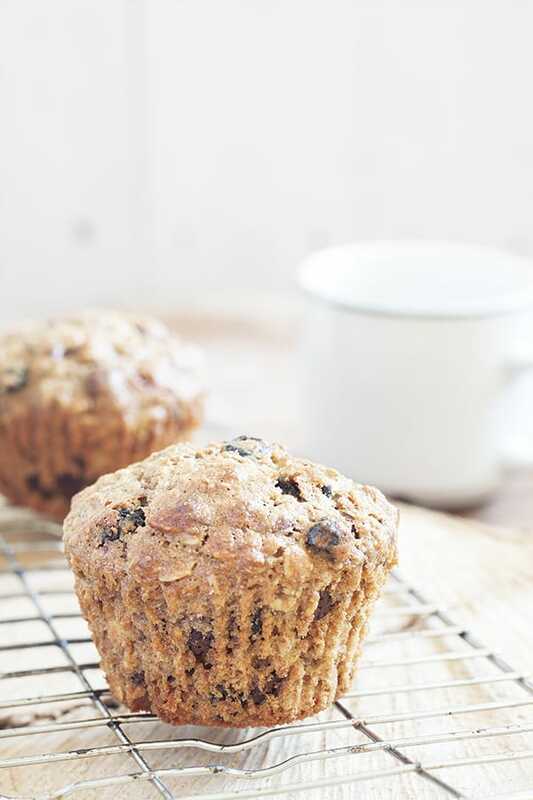 Finding a perfect regular muffin recipe is proving hard work and I am yet to find one! Can anyone help me with a fool proof recipe? What is with shop bought muffins?…They are always so satisfying and yummy (especially with a cuppa in bed) and I just can’t seem to pull them off myself. 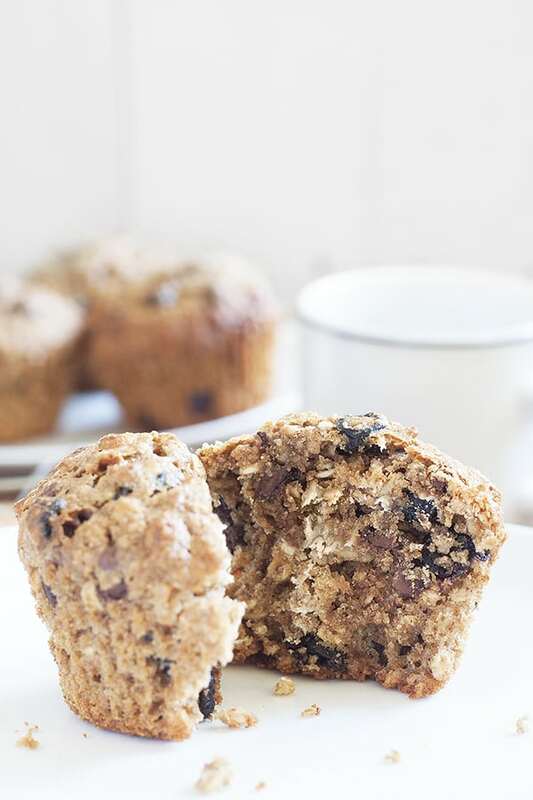 But for now (back on to breakfast granola muffins) I am quite happy with these healthier granola style muffins that uses dried blueberries (which taste amazing as a snack on their own). How do you like your blueberry muffins? Pre-heat the oven to 150C and line your muffin tray with muffin cases. Whisk together the eggs and honey. Melt the coconut oil and leave to cool slightly before adding it to the honey and eggs. In a separate bowl mix together the rye flour, coconut nectar, baking powder, cinnamon, salt and oats. Add the wet ingredients to the dry ingredients and mix. Add your blueberries, chocolate drops and nuts. Mix. 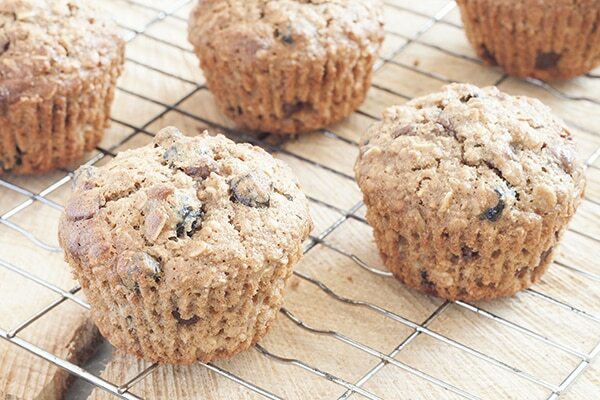 Divide your mixture into your muffin cases and bake for around 25 minutes. I don’t think I could ever get bored of these for breakfast! Thank you! Haha I love the name. I wonder how else I could vary these ‘muffolas’. Ooo granola and pancakes..my only suggestion would be blended down nut butter and honey maybe?! Haha I always talk about how good it would be to just do breakfast again at tea time instead of tea! Yes, tell me about new posts.